BUT my first gasp (after seeing the beautiful bride of course) was seeing her dress. 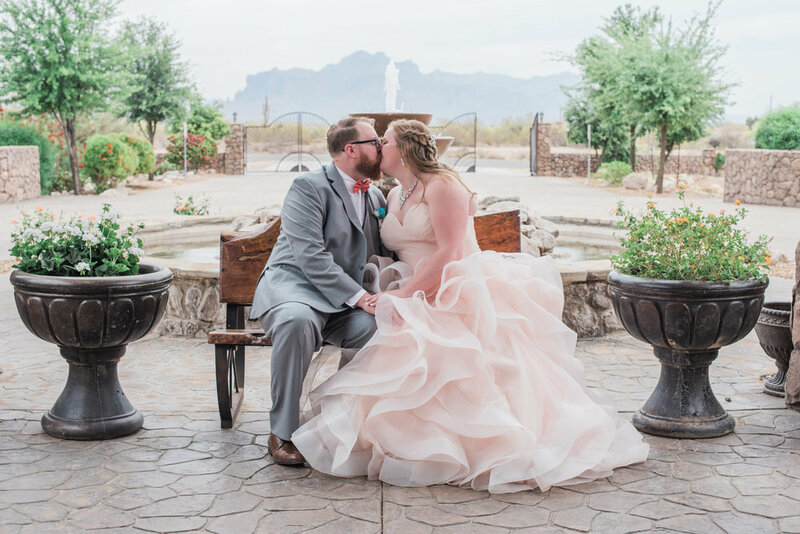 This beautiful, full skirt of fluttery ruffles, rhinestone accents and sweetheart neckline was just to die for...and the color! I felt like I'd died and gone straight to photographer's heaven! We just had to use it in some detail shots! 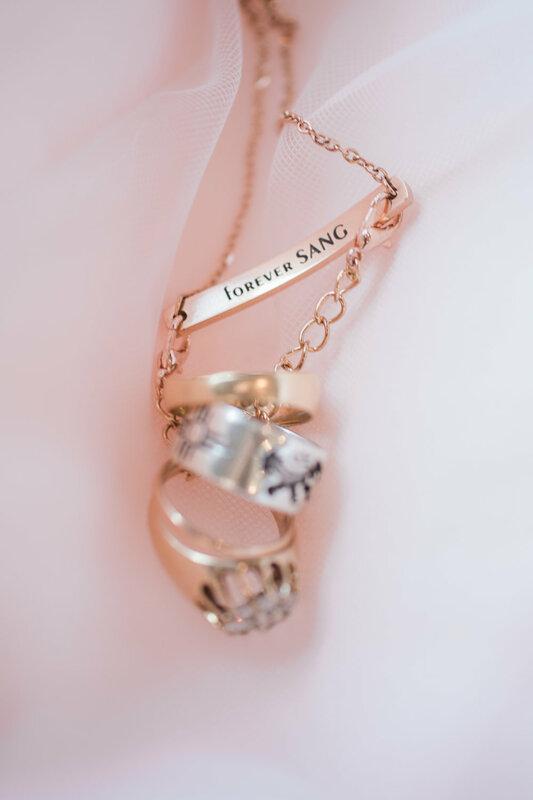 I love when Jewelry has special meaning; grandmother's rings and maiden name on one side, new last name on the other. 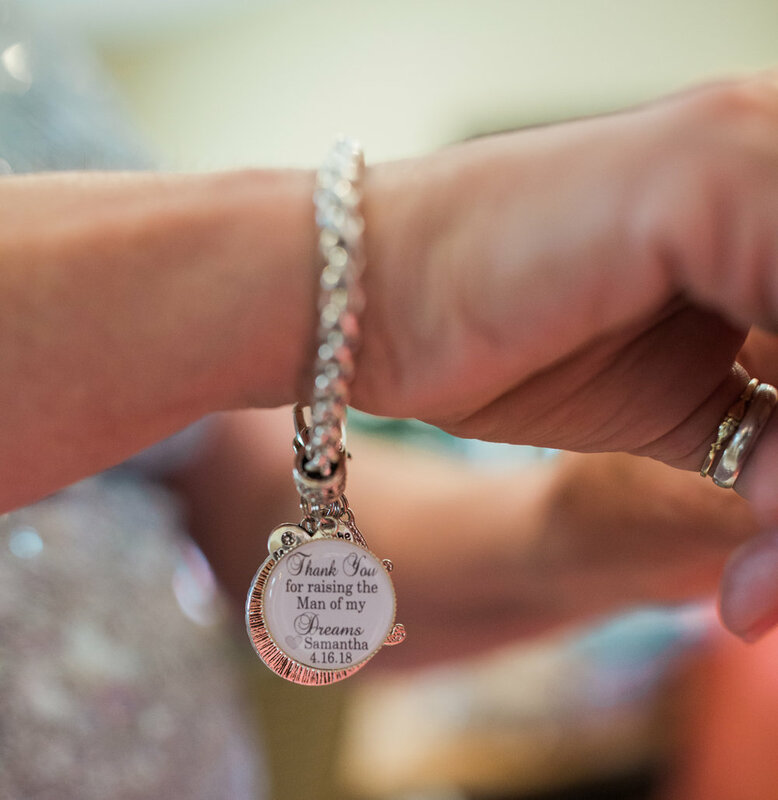 I was also lucky enough to have Lauren from Lauren Ashby Photography second shoot for me, and we were just going gaga over all the little details that Samantha and Garrett thought of. From the thoughtful gifts to the new in-laws and the cake topper that looked EXACTLY like them (AND their two pups! ), right down to their initials carved in the wooden table decorations, this wedding was beautiful. 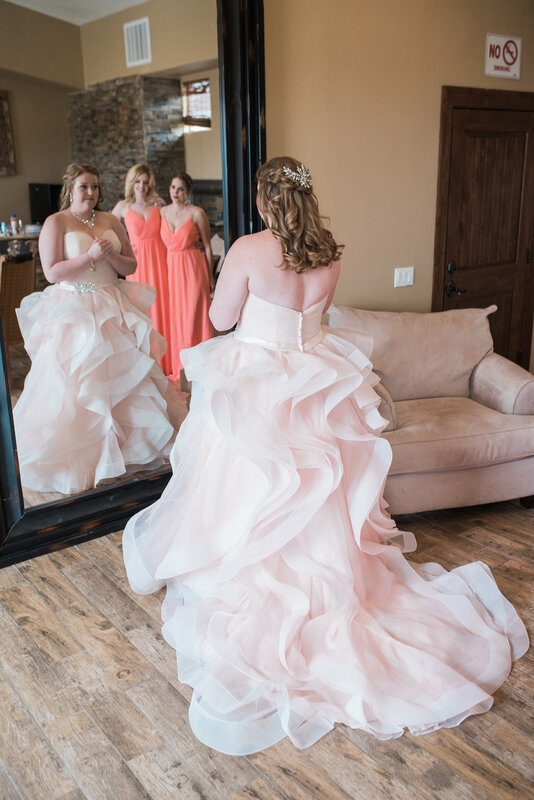 New MIL's breacelet and her helping the bride get into her gorgeous dress. Taking a moment before the ceremony. Over and above the decorations, Lauren and I had all the squeals over our happy couple! When a couple is so obviously in love as Samantha and Garrett, it makes photography a dream! Between the love birds, the attention to detail, and the beautiful venue, I'm wishing I could shoot a wedding like this everyday! 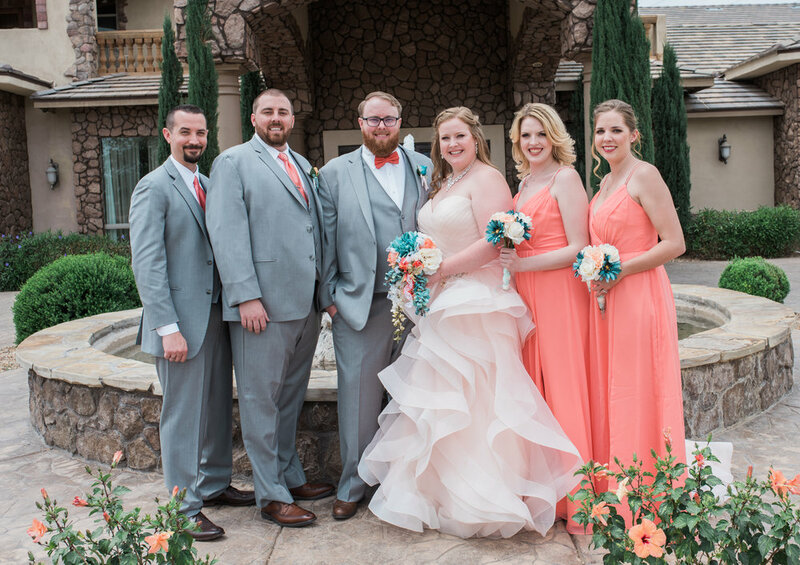 Samantha and Garrett, I hope you love your sneak peek, and I'll be getting the rest of your big day to you very soon! First Walk as Dr and Mr. Cuillier! Apr 11 Woman on a Mission...soon!